SHERRILL, NEW YROK—The Syracuse Spartans (18-23) kept their playoff hopes and dreams alive, coming out with another win at Noyes Park against the Sherrill Silversmiths (19-22). The Spartans now trail the Silervsmiths by one game for the third playoff spot in the Eastern Conference. Syracuse hosts the Salt Cats tomorrow at Blink Fitness Field but will need some help from the Rome Generals when they play Sherrill tomorrow in Rome. The Spartans can only advance to the NYCBL Playoffs with a win tomorrow against the Salt Cats and a Sherrill loss. On Saturday, Doug Willey and the Syracuse staff throw the kitchen sink at the Silversmiths, knowing it was a win or go home game. All-star reliever David Redfield got the start for Syracuse, going three innings, giving up just two hits and two runs, while striking out two. He gave way to Nate Seprosky who did his job in two innings of work, allowing just two runs. Michael Paciocco came into close out the game over four innings, allowing just four hits and one run. The Syracuse offense was much more loose today, and the results followed. After the umps didn’t show up quite on time, Tim Lombardi, an ump in his free time, put on the gear and had some fun with teammates. A three run ninth inning, sparked by a Ray Zincone two-run single, propelled the Spartans to take the lead. Nick Spinella sparked the Syracuse offense in the first inning, hitting a three-run home run off Connor VanDreason. 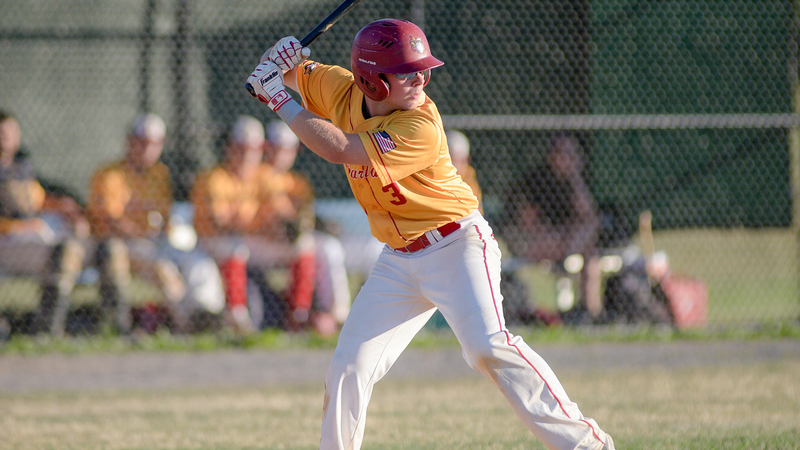 In addition to Spinella’s three RBI’s, Ray Zincone went 2-5 with three RBIs. Josh Loeffler also chipped in with a 2-5 day and two runs.